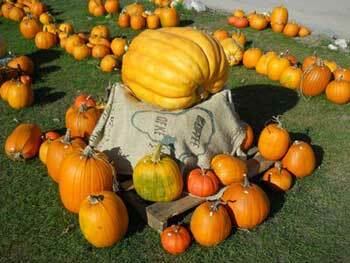 Young State Park, just outside Boyne City on Lake Charlevoix, celebrates fall with a the Fall Harvest Festival. Open to both campers and visitors, Young State Park is a great place to be on this gorgeous fall weekend. Come and Camp and Have a Haunting Good Time! 7:30pm Movie in the Haunted Graveyard at Mirror Pond. Enjoy popcorn and cider during story time! 7:30-9:00pm Haunted Trail. Bedtime stories will take place for children too young to experience the Haunted Trail.